It all starts with a trip to the US Trademark Office. One, it might be serious about re-launching the sports car, and two, because the Celica has been out production for more than a decade, Toyota likely no longer own the rights to the name. But there have been additional clues, other than this trademark filing, indicating Toyota is serious about yet another sports car. CEO Akio Toyoda is a known gearhead and highly skilled driver and has for years entered racing events under a pseudo name. He wants to bring more emotion and enthusiasm to the automaker, and what better way to do so than to build sports cars. 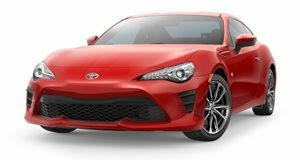 This trend could very well have started with the debut of the Toyota 86 (formerly Scion FR-S) a few years ago, and will continue with the upcoming Supra. Adding a mid-level sports car bearing the Celica name would make sense. Remember, there was a time when Toyota had three sports cars at once: the MR2, Celica and Supra. Obviously the 86 takes the MR2’s place (for now), so having three at a time isn’t completely foreign for Toyota. So say if a new Celica really is on the horizon, what can we expect? Given the trend, a turbocharged four-cylinder would be likely, and it could even feature hybrid tech. The platform, which would hopefully be RWD, could be an altered version of the 86’s, but we doubt a downsized Supra architecture is an option out of fear of diluting it. Then again, Toyota could spend big and develop an all-new platform, but this is all purely speculation. Heck, we just learned about this trademark filing so, if anything, a reborn Celica is only in its infant stages. Nevertheless, if done right, a new Celica wouldn’t be a bad thing to have at all.